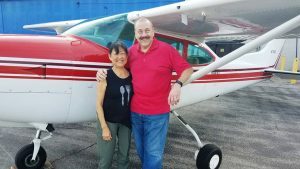 We are a modern progressive flying club dedicated to the purposes of safe flying, the advancement of general aviation, and to providing economical and reliable aircraft for the use of its members. In existence since 1958, we have a well-maintained, IFR equipped aircraft based at Dayton Wright Brothers (KMGY). Our highly competitive rates are easy on the wallet, and the fixed monthly costs associated with the Club are minimal. And our membership has a passion – just like you – for flying. DPC instructors are available for training, and we actively promote aviation safety, offering regular safety meetings and seminars. Interested? 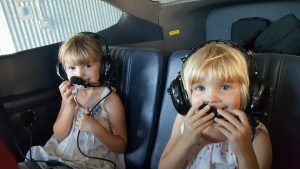 Go to our “Flying with Us” page or call 937-438-0608 to talk with our Membership Officer. Wow, some new toys in the airplane! But how do I work them? How do I set the heading bug? This is all so confusing! 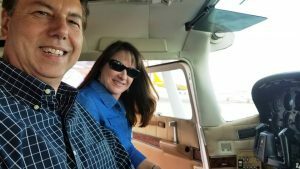 Our next Dayton Pilots’ Club meeting will explore how to use our new twin Garmin G5s. 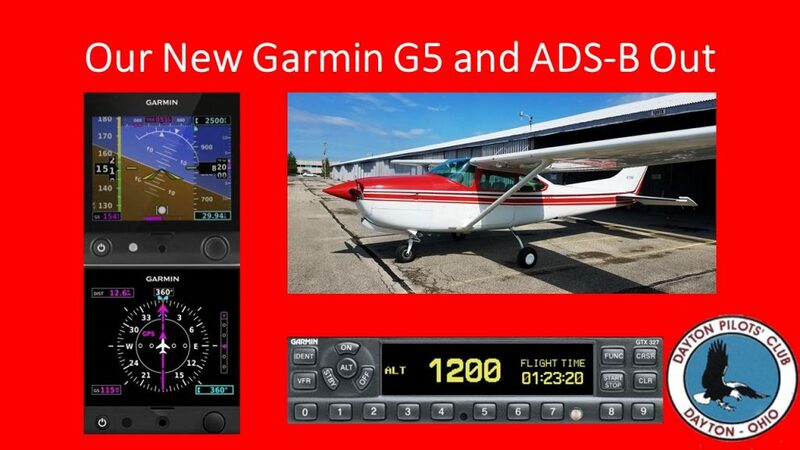 We will also discuss our ADS-B In and Out solutions.